Born in 1978, Katy displays an emotional maturity beyond her years. After graduating from Ho Chi Minh City Fine Arts University in 2001, Katy received many accolades & merits from a variety of associations, and became a member of the Fine Arts Association of Ho Chi Minh City in 2005. 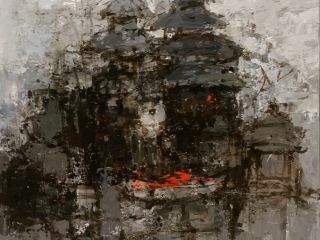 Her recognition as a contemporary Vietnamese artist was solidified with her first international solo exhibition in 2006. 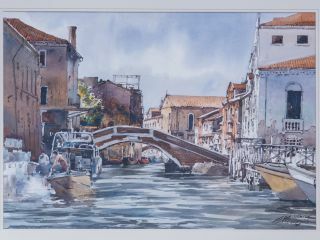 Since graduation, Katy has received six prizes and certificates of merit for five separate paintings. She draws her inspiration from her life experiences and her interaction with others and feels compelled to record her observations on canvas. Her figurative works can be edgy and psychologically powerful with the subjects' eyes shedding light on their emotional state. 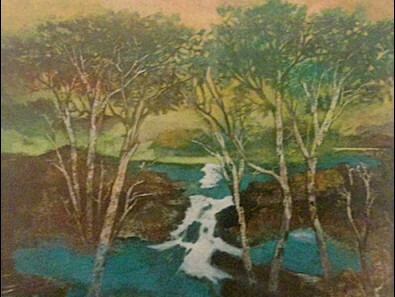 Her landscapes are flooded with vibrant color yet remain tranquil and serene. The child of a Cambodian-father and a Vietnamese-mother who met while taking the same art class, Katy says: "My inheritance includes a love of colour, a familiarity with brushes and an attraction to shapes from the time I first became conscious of the sun and the moon." Unlike many Vietnamese painters, Katy forgoes the common tendency to portray an idyllic picture of Vietnamese life in favor of something more true to her own life experiences. Katy is both haunted and inspired by her interactions: "My paintings come from the feelings generated from the life all around me; from people's eyes, gestures and the individual emotions they express. These instances are profound and refuse to leave me until expressed on my canvases." Whether the scene of nostalgic village homes or a canvas flooded with color creating a landscape, Katy's paintings express both tranquility and extreme emotion. Most recently, Katy has taken to portraits of the Vietnamese people, either in stoic poses or amidst their daily routines. Believing eyes are the gateway to the soul, Katy captures her characters on canvas, painting a palpable drama in cool tones. 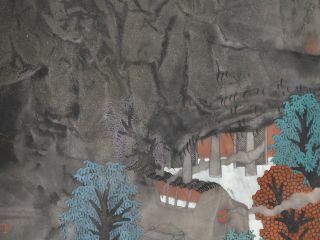 Throughout her youthful career, Katy's work has been recognized as remarkable and highly collectable, as each painting marks another step in creating a profound and authentic commentary on contemporary Vietnamese life. It is clear from simply viewing her work that her figures are painted from life with an understanding and compassion that grabs the viewer and allows them to feel immediately connected to the subject. As Katy's paintings continue to grow in scope and maturity they continue to reward the lingering viewer, and collectors are ceaselessly interested in her new work.